The Light Monkey BAF Diver Strobe is literally Bright as F. That’s why it’s called BAF. Nothing in the underwater dive strobe light market has offered something so bright, so high quality and so compact. The BAF features a rotary magnetic on/off switch with a stainless steel locking screw. 480 minutes of burn time makes this light ideal for long, deep, technical dives or for large groups of divers on a charter boat down south participating on a night dive. This strobe pumps out 4000 Lumens of output at 6500 Kelvin. Powered by a 2.6aH (28.75wH) Li-Ion battery. 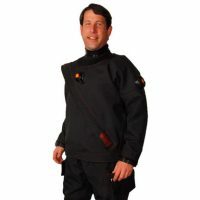 Buy Light Monkey Gear Online in Canada from Dan’s Dive Shop, a top stocking dealer. Free Shipping.